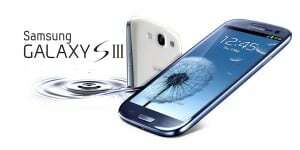 A new update was released by Samsung for the Galaxy S3 I9300. Apparently the update fixes two of the most controversial issues found in models all around the world of the Galaxy S3: the sudden death issue and the security issues with the Exynos 4. Update I9300XXELLA fixes the security issues that allowed access to full Physical Memory without rooting the device, so any app had root access without anything to do about it. The new released update fixes this Exynos security flaw. Also you surely have heard about the sudden deaths among Galaxy S3 units all over the world that had no fix but to exchange the phone. After a little research, we found out that this update also fixes the Sudden Death issue. In order to fix these 2 big issues you will have to update your Galaxy S3 with this latest update. You can update your Galaxy S3 via Samsung Kies (recommended method) by opening Kies and then Select Tools -> Select Firmware Upgrade and Initialization -> Enter Model “GT-I9300” – >Enter Serial “RF1C56VAJYF”. This will initialize the update with the latest Android version.